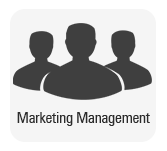 Marketing and marketers operate in a dynamic environment. As a result, marketing concepts and applications are constantly evolving and changing, so the strategic marketing planner must consider these when formulating plans. We have selected the most important trends and developments for consideration. This concerns the evolving nature of the concept of marketing itself, and in particular the trend towards a concept of marketing based upon developing and maintaining long-term relationships with customers, referred to as relationship marketing (RM). This represents a paradigm shift in the nature of marketing itself that gathered pace in the 1980s and still continues. Anthanasopoulou19 argues that our understanding of relationship marketing concepts and techniques is still at a comparatively early and underdeveloped stage. However, the underpinning notion of RM is essentially simple in as much as it is based on the idea that an organization’s marketing effort should be designed around a series of contacts with customers over time, rather than being based on single transactions (i.e. transactional marketing). The conventional marketing concept centres on the notion of understanding customer needs so marketers can develop strategies that better meet these needs. As a consequence, the organization achieves its aims. The process of dealing with customers has traditionally been viewed as a one-off transaction where the customer receives satisfaction and the company achieves its objectives, whether these are for profit, or some other organizational objective.This transaction view is concerned with what marketing can do to buyers rather than do for buyers. In contrast, RM is built on creating and maintaining mutually satisfying commercial relationships which appears to be only a slightly different perspective from the traditional transactional view of marketing. In fact, it is a fundamentally different perspective on the marketing concept, and gives rise to potentially very different approaches to developing marketing strategies. Adopting a relationship marketing approach has implications for how we promote products and services, how we deal with customers and customer service functions and how we develop and use information about customers for targeting and other purposes. One of the reasons for the growth of relationship marketing is the recognition of the importance and value of customer loyalty and retention. Put simply, keeping an existing customer is more cost effective and profitable than creating new ones. In the same vein, loyal customers can become advocates for a company or brand, thereby helping to sell a product through word of mouth. Many customer loyalty programmes that have been such a feature, particularly of retail marketing, and which commenced in the 1990s are in part based on the concepts and ideas of relationship marketing. Programmes such as Tesco Clubcard and Thomson Founders Club are based on the notion of developing relationships with customers to create customer loyalty. The essence of effective loyalty programmes is building communication and trust between the marketer and customers. Companies such as Waitrose, the grocery retailer, and B&Q in the home improvement market, place enormous importance on customer care tactics that embrace high levels of customer service. Many of these loyalty schemes involve rewarding customers in some way for loyalty. This might involve the award of points as in for example the Tesco scheme or reduced prices/special terms as in the case of The Thompson founders club. Although loyalty schemes are now widespread in marketing, the marketer has to be careful not to assume that they actually generate genuinely loyal customers. Often customers passively claim ‘loyalty points’ simply because they are being given out. In this way loyalty schemes can become just another form of sales promotion with the customer being offered in essence a sort of financial or other inducement to purchase. True loyalty schemes encourage customers to decide to remain loyal to a supplier or brand because they perceive this supplier or brand to best meet their needs. In other words true customer loyalty stems from a supplier or brand being viewed as the best solution for that customer. This applies in any type of product market, developed as well as developing ones. Customers want to feel special and valued and they need to feel they can trust the marketer. Ndubisi 20 found that customer loyalty was affected by four major factors namely: ‘trust’, ‘commitment’, ‘communication’ and ‘conflict handling’. Widespread though relationship marketing has become, we have to be careful if we assume that all marketing exchanges should be relationship marketing based. Ward and Dagger21 have suggested that marketers should not always adopt a relationship marketing approach. For some customers and in some situations a transaction marketing approach is most appropriate; some customers do not want or seek a relationship with a suppler or brand. Sometimes, even if customers might welcome it, building relationships and loyalty may simply be too expensive compared to the potential benefits. The relationship marketing concept is ‘complex’ and as yet there is no set of ‘rules’ that tell us when a relationship marketing approach is needed. A major development has been the growth of services marketing. Service industries have been the major growth area in most developed economies. Banking and finance, insurance, healthcare, tourism and leisure are all major service industries that need and use the tools of marketing. However there are differences in the application of marketing principles for the services marketer. A major difference is the need to consider the elements of the marketing mix from a slightly different perspective. The characteristics of service products have led to the notion of an extended marketing mix for service marketers. In addition to the conventional ‘four Ps’ of product, price, place, and promotion it is suggested that a fifth ‘P’ at least should be added to this mix, namely the ‘people’ element. ‘People’ means anyone who directly interfaces with customers including: sales representatives, commission agents, distributors, franchise holders, service engineers, etc. In addition, two further ‘Ps’, namely ‘process’ and ‘physical evidence’ may be added (referred to as the ‘3Ps’ of service marketing). Undoubtedly, the people element is crucial in the marketing of services, and must be considered and planned for by service marketers. We know that a key determinant affecting customer satisfaction and hence once again loyalty in services marketing is the customer’s perception of the service providers personnel. For example, a recent study by Paul et al.22 supports the view that the people element is a crucial factor affecting customer retention. The issues that services marketing gives rise to, along with extended marketing mix elements. This development has affected every facet of business over the past 20 years, but the marketing function in particular has been influenced by the impact and importance of new technology. There are so many ways in which this has affected marketing, ranging from developments in communications to technologies of transportation and distribution, and underpinning product technologies such as genetic engineering. Perhaps the most significant development for marketers has been the growth of e-commerce and the Internet. Originally confined to being another promotional technique and a channel of distribution, the Internet is now proving an invaluable tool in marketing applications ranging from market research (Schibrowsky et al.23), through to speeding the acceptance of new product innovations (Davidson and Copulsky24) or even scanning the marketing environment for marketing planning (Decker et al.25). In addition of course the Internet is now a major element in the continued growth of direct marketing. Virtually every aspect of marketing management and planning, is affected by these developments, so marketing personnel need to be conversant with such developments. Because the impact of ecommerce and the Internet is so ubiquitous in marketing, we discuss the impact and implications of these facets throughout the text. Another major development in marketing has been an increasingly international and global approach to marketing. Marketers have extended their activities, and international marketing has been one of the fastest growing areas of trade and commerce. Factors like the continued liberalization of international trade, more cosmopolitan customers and potential for profit opportunities have led to the growth of global companies increasingly marketing global brands. Paliwoda and Marinova26 have suggested that the enlarged single European market represents one of the most significant future marketing challenges and will require distinct changes in the marketing strategies and tactics of companies operating in this market. Again, the basic concepts and techniques of strategic marketing apply irrespective of whether we are marketing in domestic markets or across international frontiers. However, as with services marketing, the extra considerations caused by the complexity of marketing on an international or global scale mean there are a number of special issues for marketing that do not arise when marketing on a purely domestic basis. International and global aspects. It was earlier suggested that in the marketing oriented company it is essential for everyone in an organization to become customer oriented. This, in turn, has led to the growth of the notion of internal marketing. This idea of internal marketing centres on the notion of ‘marketing’ the importance of customers and of customer orientation to everyone in the organization. The idea suggests that employees of the organization can usefully be looked at and dealt with in the same way as external customers. For example, production staff are urged to consider, say, the sales force who have to sell the products as internal customers. At the same time the sales force should look at the production staff as one of their internal customers. There are several reasons and advantages for looking at other parts of the organization as customers in this way. Among the most important of these is the fact that it encourages functions that do not have a direct contact with external customers to appreciate the ideas of marketing and customers, and to understand how their activities can affect external customers with regard to customer satisfaction and service. Some even suggest that internal marketing has important implications for and is related to the happiness of employees at work Vasconcelos27). Internal marketing has important implications for the implementation of strategic marketing and in particular the development of marketing orientation. Over the years, marketing and marketers have, sometimes with justification, sometimes without, generated antagonism and criticism regarding ethical and social implications associated with marketing activities. Occasionally this antagonism and criticism has been general in nature, for example, attacking notions such as the ‘consumer society’ or the ‘waste of money’ on advertising and packaging. At other times, antagonism and criticism has been focused on a particular company and/or incident such as the controversy when Greenpeace criticized Shell for plans to sink the Brent Spar oil platform in the North Sea. Overall, consumers are now much more aware of their rights and the responsibilities of marketers. Similarly, more and more consumers are concerned about protecting the environment and their health from the worst excesses of the marketer. The ‘green consumer’ is now a permanent feature and not simply a fad of the 1990s. As Grant28 shows, soon many marketers will have to plan around low carbon economies where sustainability is the order of the day. Related to this, increasingly marketers must plan within a complex and tough regulatory environment. We now have regulations related to every area of marketing ranging from aspects as diverse as direct marketing (Brubaker)29 through to relationship marketing techniques (Murphy et al.30). Even where there are few regulations at the moment, marketers are learning the value of imposing self regulation on some of their activities. Because of these developments, modern-day marketing managers need to be aware of, take account of, and plan for, the social and ethical implications of their marketing strategies. A controversial ethical area of marketing in recent years has concerned marketing to children. An example of one issue that has been the subject of considerable criticism has been the marketing of what some have suggested are unhealthy children’s food products. Some marketers have responded positively to these criticisms. The Co-op, for example, undertakes to use its advertising to promote healthy diets to children; it has also banned the use of characters and cartoons on products which are judged to be high in fat, sugar or salt. For many years, marketing concepts and techniques were associated with, and applied to, the marketing of consumer products in the business-to-consumer (B2C) sense. These applications spread into business-to-business marketing (B2B) such as component suppliers and industrial equipment suppliers. Increasingly, marketing concepts and techniques are being utilized by any organization that has exchange relationships with its public. This includes charities; public sector organizations like libraries, public amenities and the police service; political parties and candidates; causes and ideas; schools and universities; hospitals and other health services. It is now generally accepted that marketing concepts and techniques are not only useful and relevant to any organization where an exchange takes place between one party and another, but also that their application is, in principle, no different from the original applications for marketing in profit-seeking consumer goods organizations. In 2009 The Daily Telegraph, a British national newspaper group, was offered details of expenses and allowances claimed by UK members of parliament. Although essentially confidential, the newspaper decided that releasing this information was in the public interest and began to publish details. The result was a bombshell. The details revealed dozens of MPs claiming as much as they could get away with and more besides. For example, there were claims against second homes that had never been lived in by the MP. There were claims for duck ponds, garden mowers, expensive televisions and chandeliers. Understandably there was a public outcry. As a result several MPs resigned, there were questions in Parliament, apologies from party leaders and new legislation pertaining to claiming expenses and allowances was rushed through. But what has this to do with marketing? The answer is a lot. In the first instance much of the problem was caused by a complete lack of understanding, even disdain by MPs of their ‘customers’ and markets. Many MPs were generally surprised by the furore caused. They apparently simply did not understand why the public was upset which suggests they were not in touch with the needs and views of their voting public. Voters expect lots of things from the politicians they elect, but above all they trust MPs to represent their interests in an honest way. The expenses scandal goes back to marketing basics in terms of understanding what your customers (voters) are buying. Having got into this position, MPs and Parliament itself need to use the tools of marketing to begin to remedy the situation. MPs need first to talk to their constituents and find out their real feelings. MPs need to come up with credible solutions to persuade their constituents and voters that this will never happen again. MPs need to communicate their proposals effectively to voters through announcements from Parliament and personal PR in their own constituencies. Only by marketing themselves effectively, beginning with understanding voters’ needs, will MPs and Parliament begin the long and painful process of rehabilitation in the eyes of the British voting public.